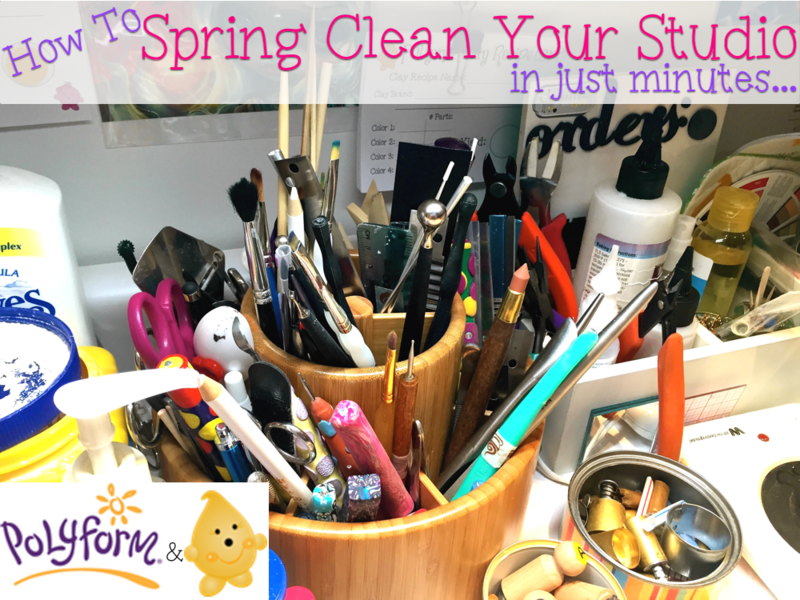 There are a few main things that you need to learn and understand about spring cleaning your studio. If you want to read and learn them all however, you’ll have to head over to Polyform. All month I’m joining them there as their blog writer. I’ve been conducting a survey over the past several weeks and much of the feedback you’ve been giving me is that what you want more of is that basics including organization, helpful tips, and things that EVERYONE of every clay discipline can use. Today’s article on Polyform is jam packed full of helpful hints on how you can better organize, clean, and get your studio ready for a successful Spring and Summer creative season.